RARELY AVAILABLE SOUTHERN EXPOSURE LAKESIDE TWIN VILLA. The second you walk in the door you will see that this one owner home has been meticulously cared for. 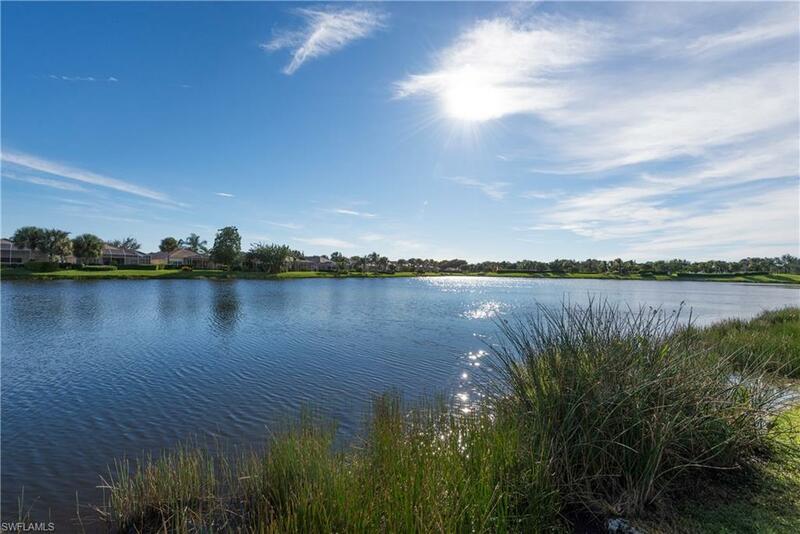 Whether you sit in the living room or on the grand lanai you will experience so much natural lighting as you enjoy the tranquil view of one of the largest lakes in Sandoval. This wide open floor plan is irresistible. There is tile in the living areas with 4 tray ceilings found in the den, dining, living and master bedroom. The kitchen is quite spacious and has lots of storage with it's pantry and 42 inch cabinets. The granite and upgraded stainless steel appliances add to its appeal. The master bedroom has an amazing view of the lake and the walk in closet and dual sinks in the bathroom are a welcome bonus. With it's built in cabinets and utility sink even the laundry room is exceptional. The home is also available TURNKEY and the decor and furnishings are like new. The Sandoval Community is known for it's impeccable lush landscape and security. In addition to a carefree life style of enjoying the great outdoors with it's resort style pool, two walking dog parks, various sports courts and active community center.